Planning a jailbreak? Don't forget to leave a racist note. Two convicted murderers used power tools to bust out of a maximum security prison. It's like a scene out of The Shawshank Redemption, except it's real life, with some totally random racism thrown in. In New York, two convicted murderers managed to escape from maximum security prison by using power tools to cut through the wall of their cell. The jailbreak has authorities scratching their heads over how they got away with it. I'm just wondering why they had to draw a racist Asian caricature on their farewell note. 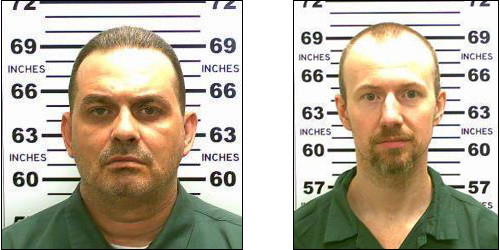 48-year-old Richard Matt and 34-year-old David Sweat were discovered missing from the Clinton Correctional Facility in upstate New York early on Saturday morning. 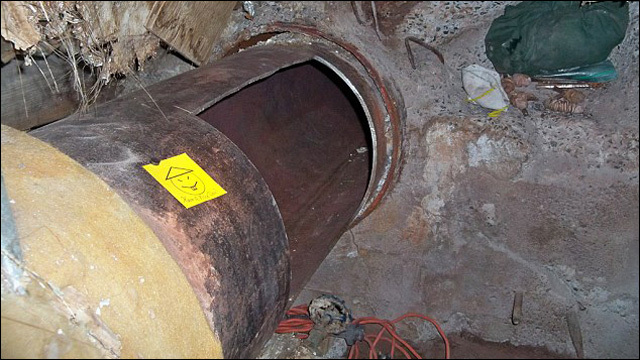 The pair apparently used power tools to cut through a steel wall in their neighboring cells, then traveled through a series of tunnels that led to a manhole outside prison walls. As I write this, they're still on the loose, with a massive manhunt underway. That's a yellow Post-it note with a caricature of an Asian face, complete with a conical hat, slanted eyes and buck teeth. 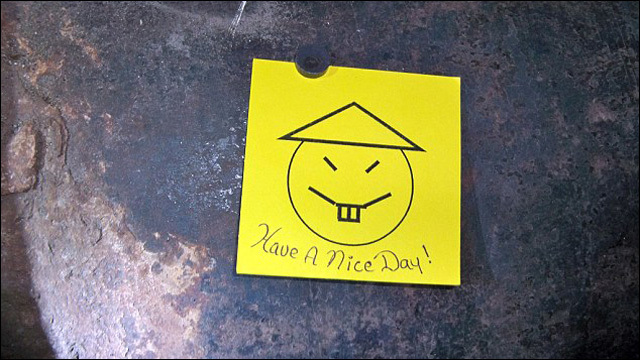 It reads "Have a nice day!" It was found affixed next to a hole cut in a pipe. That is some seriously random racism. Sweat is serving life without parole for killing a Broome County Sheriff's Deputy in 2002. Matt is serving 25 years to life for three counts of murder, three counts of kidnapping and two counts of robbery for kidnapping a man and beating and dismembering him in 1997. Both men are described as "a danger to the public." Governor Andrew Cuomo has announced a $100,000 reward for information leading to their capture. Okay, these two are clearly not nice guys. But really, why go with the racist caricature as your parting shot? Why even bother going there? I'm genuinely curious. It's just weird.